GLOBE VIDEO FILMS for railway video, online, dvds, train dvds, railwayana, models trains. British Steam & Diesel Train Programmes on DVD. We have produced dozens of railway programmes featuring current and archive material of steam and diesel trains in the UK. Established in 1996, our DVD catalogue now covers a wealth of different railway scenes featuring steam and diesel trains during the last 60 years. We are also SOLE DISTRBUTERS for Ranwell Video Productions and Foretrack Pictures DVDs. Whatever your particular railway interest, we are sure you will find something to suit your taste...and remember.....FREE WORLDWIDE POSTAGE ON ALL DVDs! 28th July 17: GVF161 Into The Blue Vol 2 Available to buy now! £15.95 Order your copy today. 28th Nov 2016: Just a reminder that Roger Geach's new book 'Plymouth to Penzance' was released at the NEC Birmingham on 26-Nov-16. This isn't one of our products but we did manage to get a look through it at it's launch at the show and it is really excellent. Reproduction and content are 1st class and we are very happy to give the book our recommendation. Price £20. Order direct from him at YP Books. 10th October 16: GVF101 'South West Steam Celebration' **DIGITALLY REMIXED SEPTEMBER 2016** Still Only £8.50! 5th July 16: GVF160 'Into The Blue' Volume 1 available to buy now! £15.95. 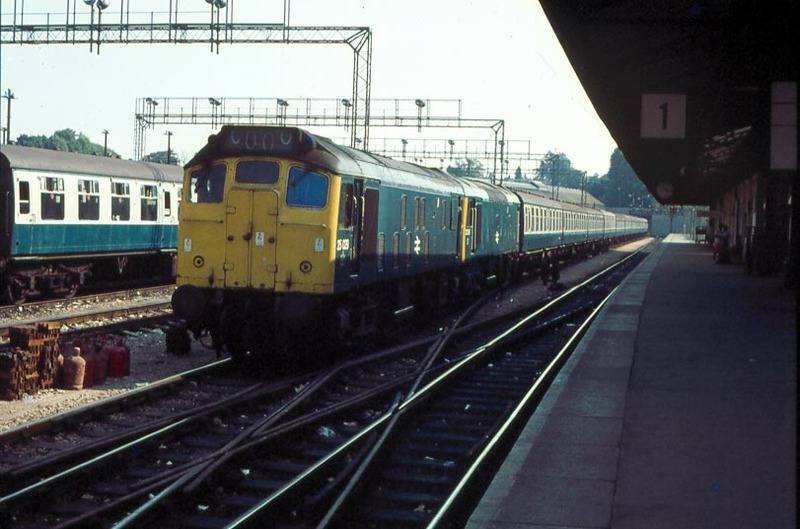 29th October 14: GVF159 'The Class 60s: One to One Hundred'. £15.95 inc p+p.